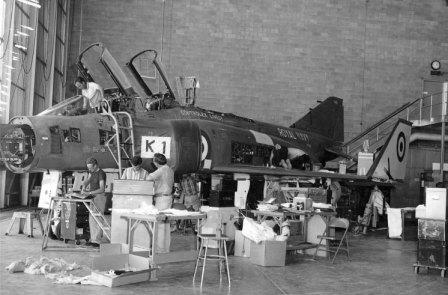 Tommy Thompson was a flight test engineer on the F-4K program at McDonnell from 1966 to 1968, (Tommy please contact phantom F4K 3rd Oct 2009). 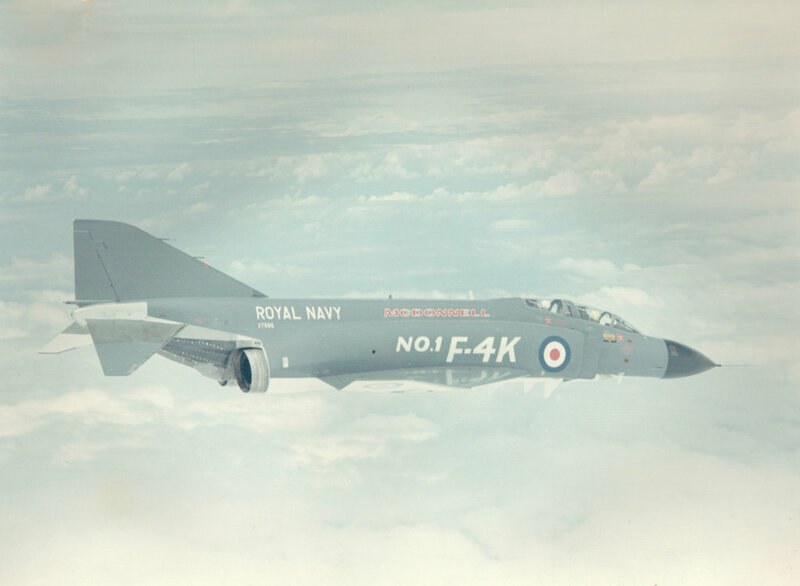 The RN Phantom F4K's were manufactured at the McDonnell Douglas facility at St Louis, Missouri. 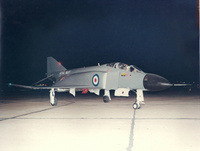 Flight Testing was done at Edwards Air Force Base. 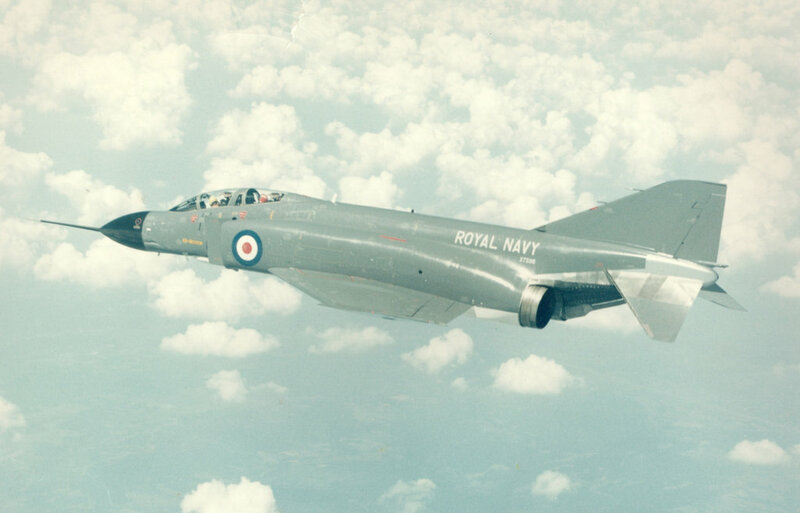 "The Rolls - Royce Spey proved to be less compatible with the F-4 than Rolls-Royce and McDonnell had expected. 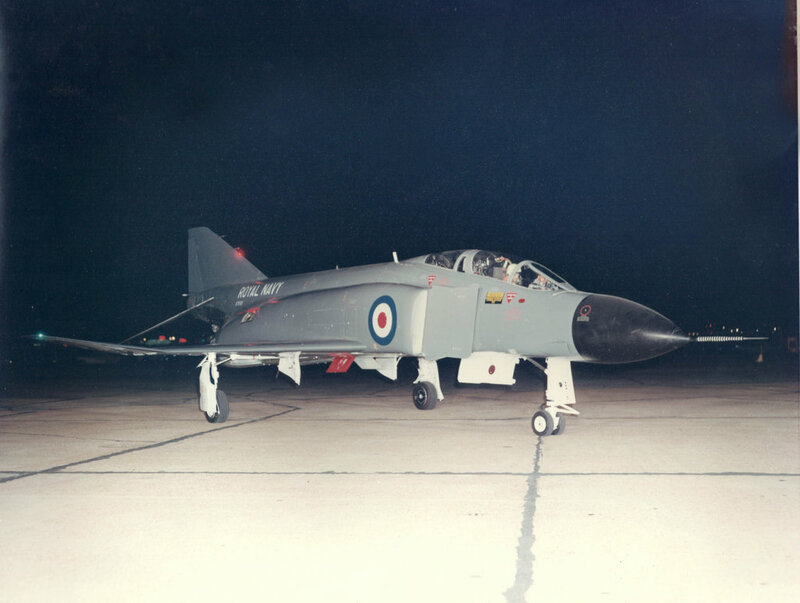 One of the problems discovered in flight test was that the F-4 throttle control system was incompatible with the Spey's fuel control, which was a cambox, not a hydraulically powered unit as on the J79. The throttle linkage, basically a stiff cable, had just enough stretch in it that a swift throttle movement (jam) to the idle cutoff or military power stops (which were in the throttle quadrant in the cockpit) would result in the inertia of the cams in the Spey fuel control back on the engine stretching the cable and going into cutoff (very bad) or afterburner (not too good at that point in the program either, due to afterburner lighting problems), respectively. The eventual fix was a control linkage, made by Controlex, which had no stretch". "If you look closely at the attached picture, taken in the flight test hangar at Edwards AFB, you'll see the words "Controlex Lives!" on the spine of the fuselage. This was done in masking tape for the picture as a jibe at the program manager back in St. Louis, who had emphatically stated in a earlier meeting with Rolls-Royce that it was an engine problem, not an airframe problem, and that the Controlex option was dead. In the picture, some of the flight test mechanics are installing the new throttle control system, which was no easy task as you can image".